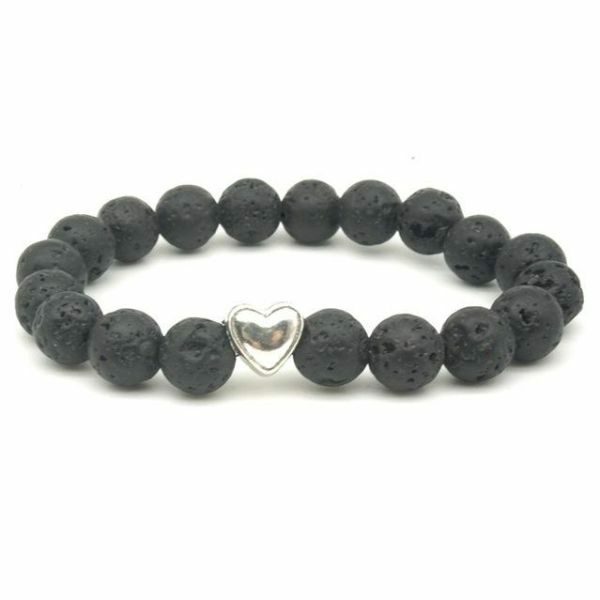 An elastic Lava Rock &amp; Bead Diffuser Bracelet made from 10 mm lava stone. 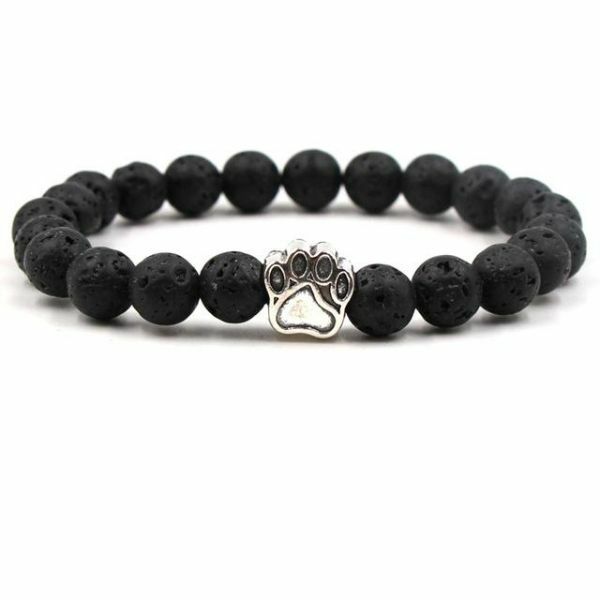 Perfect as a gift or treat for yourself! 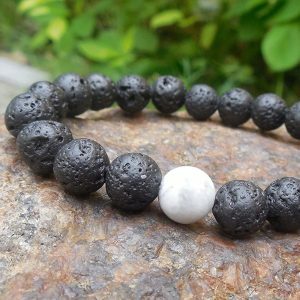 Lava Stone can also be used as an oil diffuser. 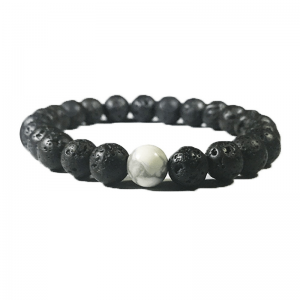 Just add a few drops of essential oil onto the lava stone and the scent will go wherever you go! 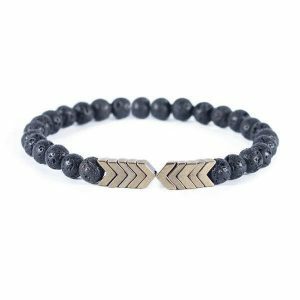 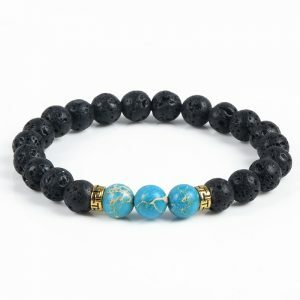 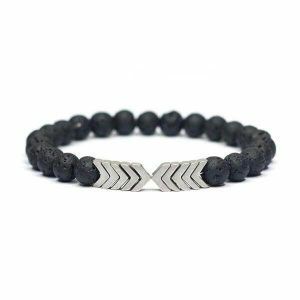 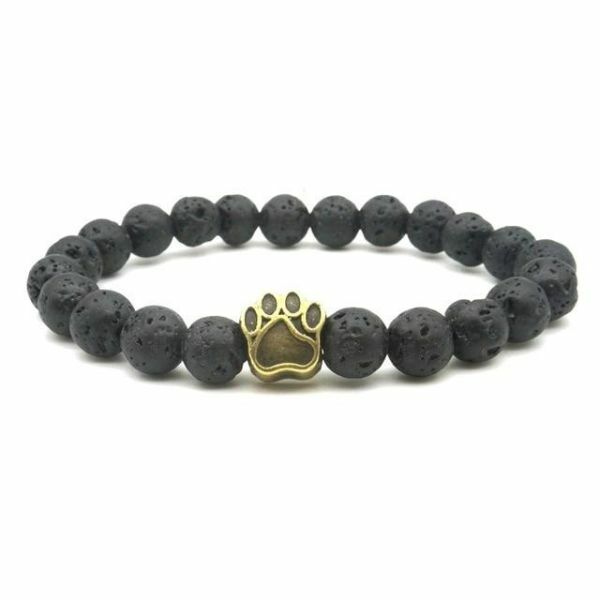 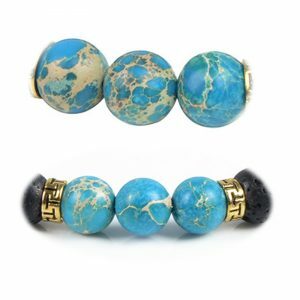 Essential Oil Diffuser Bracelets – Lava stone is a rock formed from magma erupted from a volcano, porous feature enable it to absorb essential oils well. 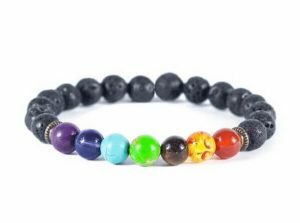 Several drops of essential oils can last aroma for days. 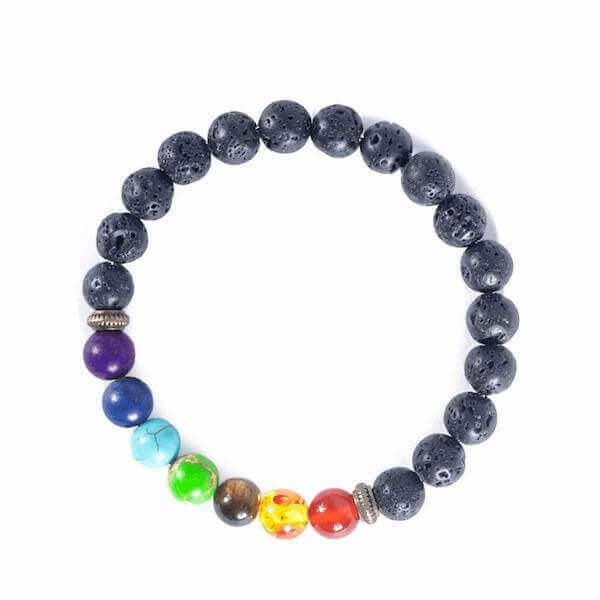 Evaporation of essential oil is powered by your body heat.